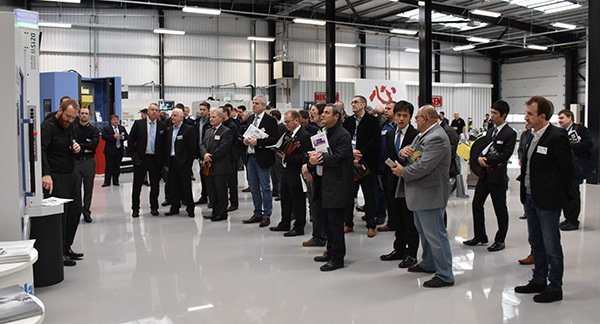 After a busy three days, Thursday 4th February marked the final day of the inaugural NICe Open House event and as the final visitors left the Innovation centre just before 5.00pm, it was time to look back and reflect on the previous three days. With almost 300 people visiting the Innovation Centre from as far afield as Japan, Slovenia, Italy, Switzerland, the Netherlands and France, the event was a great success, with everyone experiencing demonstrations in the next-generation of advanced manufacturing techniques. With all seven machine tools in operation there was always something to look at, with a full range of applications ranging from rapid removal of Titanium to high-speed machining of an aluminium micro impeller using a 5-Axis Direct Drive Rotary Table. With theoretical presentations being given to support the manufacturing strategies and real-time demonstrations of the latest generation tool Presetters providing a direct link to the machine tools via a new Tool Identification software suite. 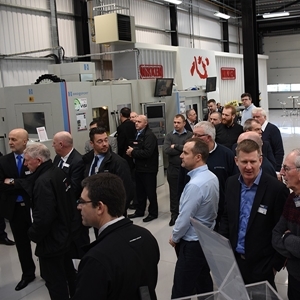 The planning of future events is already underway, with a timetable currently in development that will include seminars and demonstrations targeted at specific industry sectors, manufacturing strategies and best practice techniques.